Ah, Microns, the main technical pen of the trade. This one specifically is the 005 (.2mm) black version. The body is easy to hold. The finish is glossy, but grip-able. It is just long enough to be comfortable in the hand and is a nice comfortable plastic. 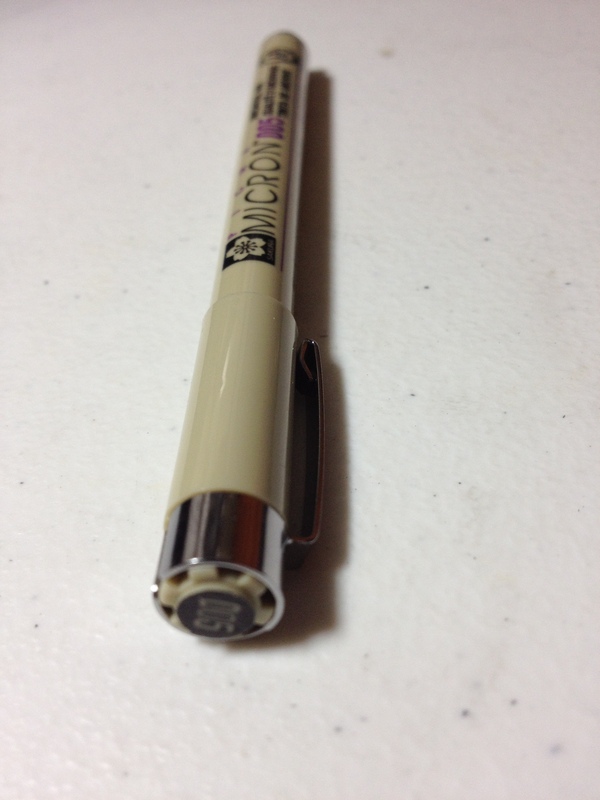 The nib size is neatly marked on the side and top, making it easy to find the right pen for the job. After much use however, the makings on both the side and top fade away, with the top going first. The nib is very thin, good for fine detail work and writing. It does bend easily and one should be careful about how much pressure is applied when using it. When the correct amount of pressure is applied the line is very smooth and even. The ink itself is a nice deep black that is resistant to bleeding when wet but does fade when an eraser is rubbed over it. Other then that minor fading the Pigma ink is very reliable. The ink does not bleed through thin paper and mark other sheets below it. After heavy use the markings on the pen do rub off as mentioned. The nib begins to wear down and the metal past it begins to mark the paper. The lines begin to become jittery and inconsistent. But that is after a long and useful life. The amount of time it takes to wear the pen down to that point is incredible. And it more then makes up for its price. 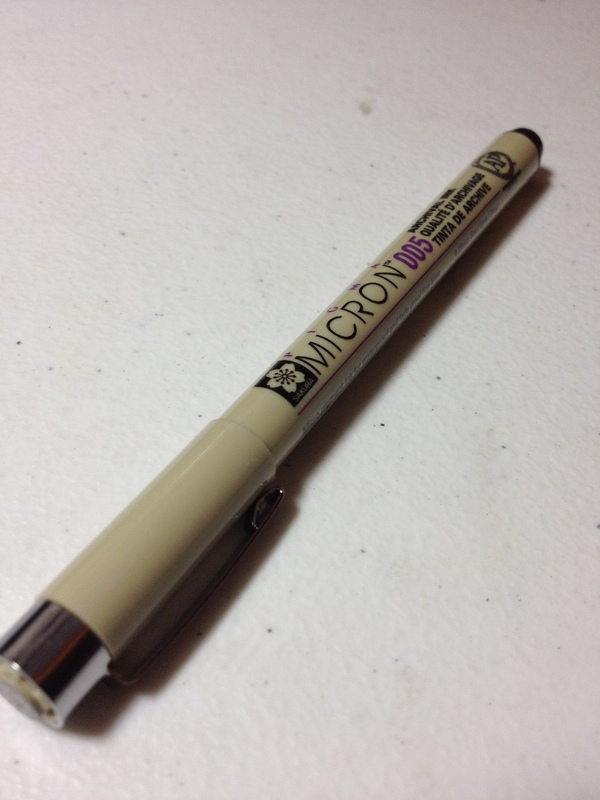 The Micron is the premiere technical pen (almost) and does its job incredibly well. They are expensive but amazing (in my opinion) and at the very least write well. And the amount of time that they last easily allows for them to be replaced when they begin to show signs of wear.